Our first full day of vacation started like most Saturday’s in the summer do for J and I. We made a trip to the Farmers Market. Only instead of our usual haunt, we found a big one along the lake shore to check out. 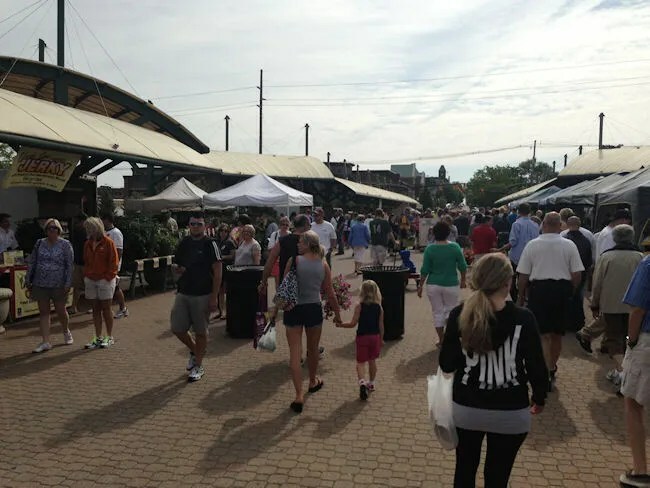 The Holland Farmers Market is right in downtown Holland on 8th Street between Pine and Maple Avenue. 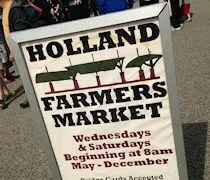 As we drove down 8th Street, I think everyone in the car was shocked at just how big the Holland market is. We could see huge crowds a block away and had no idea what we were getting ourselves in to. Parking looked like it might be an issue at first as we were looking for a spot on 8th Street, but when we didn’t find anything there, we noticed cars coming out of a large parking lot in front of the Civic Center. We could see from the street a few cars pulling out right near the front and we whipped in that lot to take one of the open spots. We weren’t really looking for anything specific. We just sort went with the intention of getting out in the fresh summer air and seeing what we could find. The big thing I noticed is that there were a lot of people selling flowers. 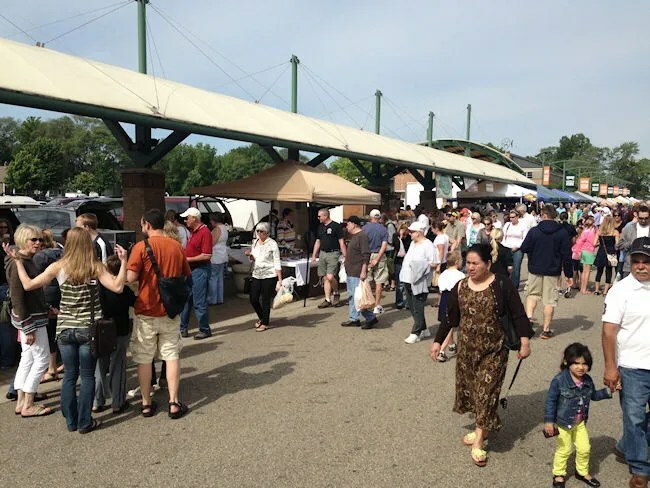 The market is very diverse with so many different producers, growers, and artisans selling just about anything you could be looking for at a place like this. We saw a number of large farms with huge set ups but also a large number of small farms with just a table and one person selling what they grew the past week. One of the things that we really stopped and took notice of was the entertainment. At three different points on the street there were what were essentially street performers. Nearest to Pine Street was a tween girl playing the accordion…and she was really good. Farther up the street was a teenage girl playing a violin while tap dancing. There was a third performer a little farther up the street as well. Since we didn’t really have an agenda when we started walking, we just went up one side of the street and down the other. There were plenty of delicious looking fruits and veggies as well as an abundance of beautiful flowers, but we didn’t really find anything we couldn’t live without. There’s not a whole lot of meal planning going on right now….we just eat when we’re hungry and find something nearby to satisfy that problem. The only thing we ended up leaving with were a couple of donuts. We hadn’t really eaten breakfast yet and we thought we should get a little food in L’s belly before we continued on with our day. Even though we didn’t leave with anything, the Holland Farmers Market is pretty amazing. 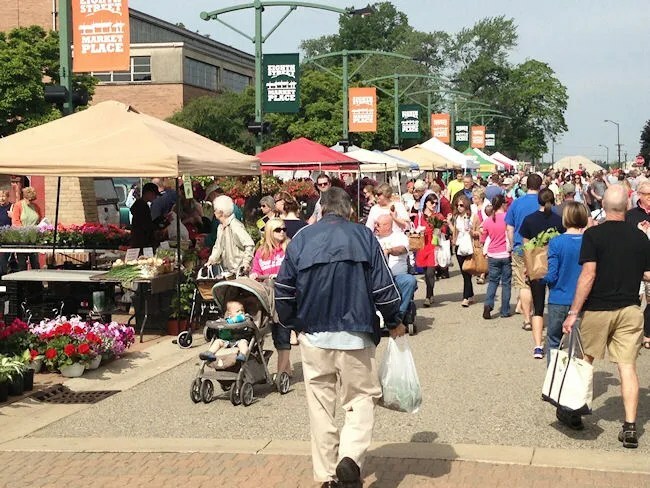 J and I have been to several markets since moving to Michigan and this one really stands out. They’ve developed a great space downtown and they attract a lot of vendors. It’s a market that’s win-win for the community and the farmers. This would be an every week stop for us if we lived in the area.